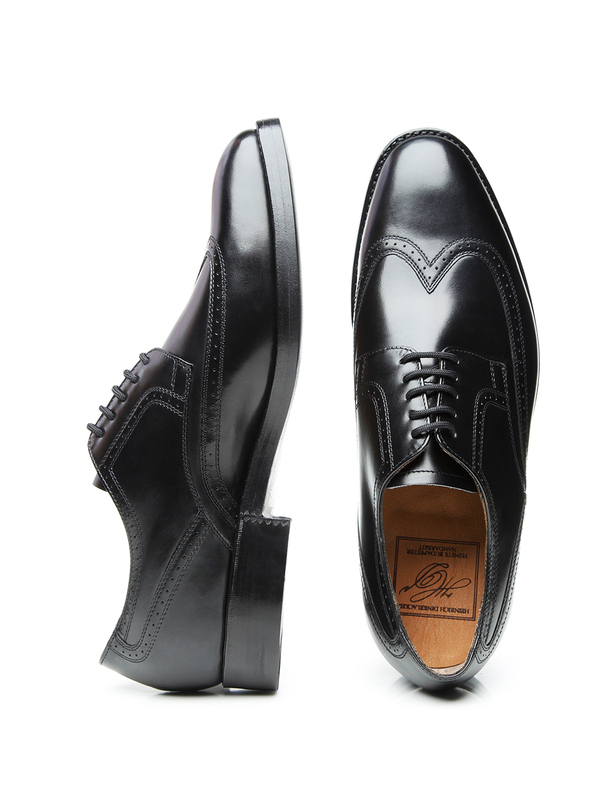 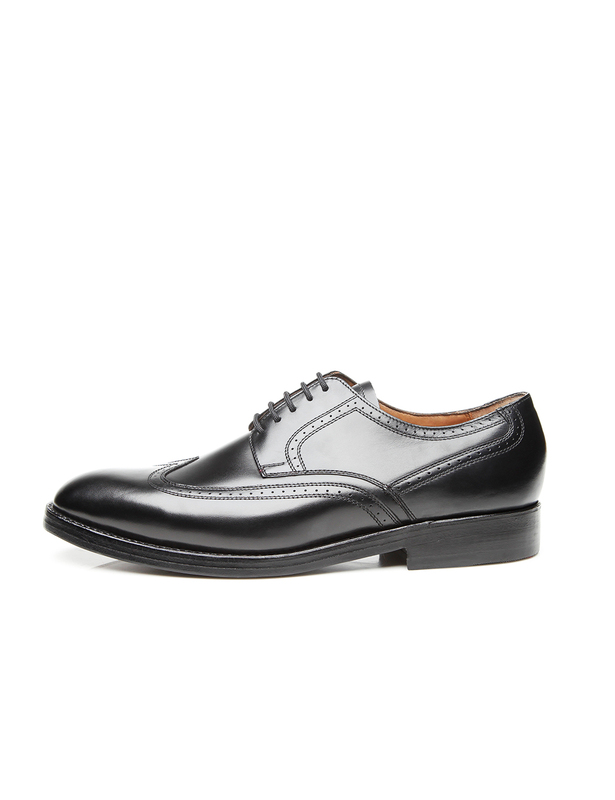 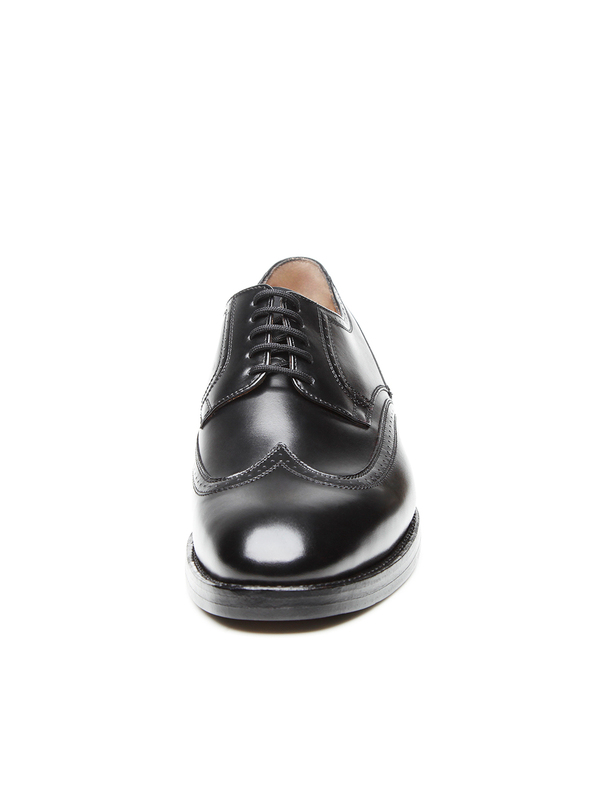 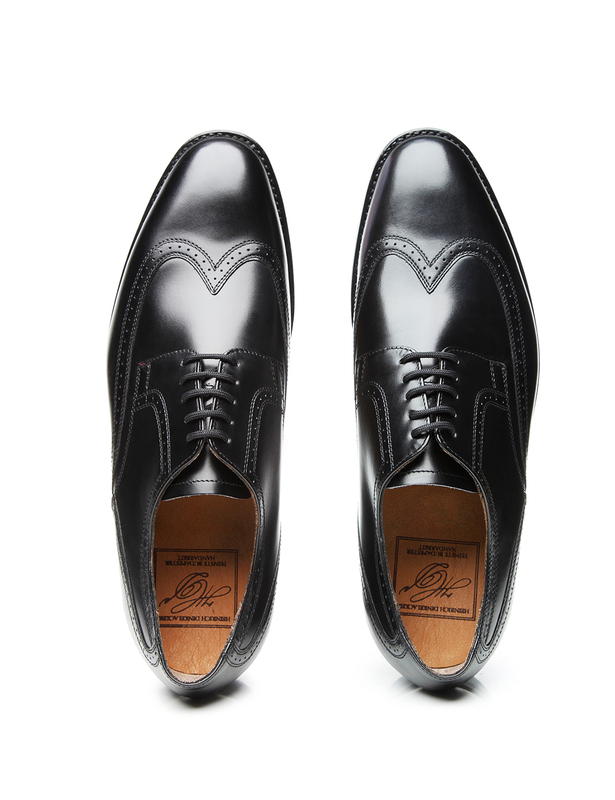 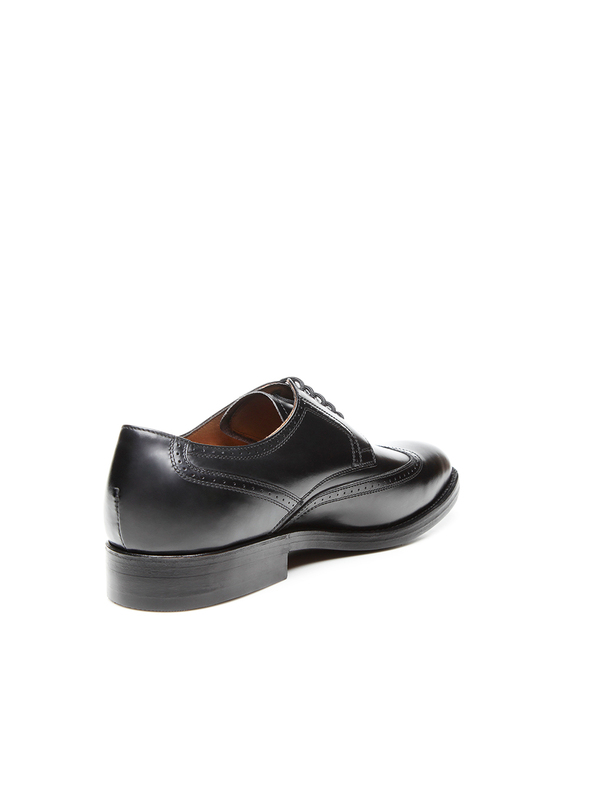 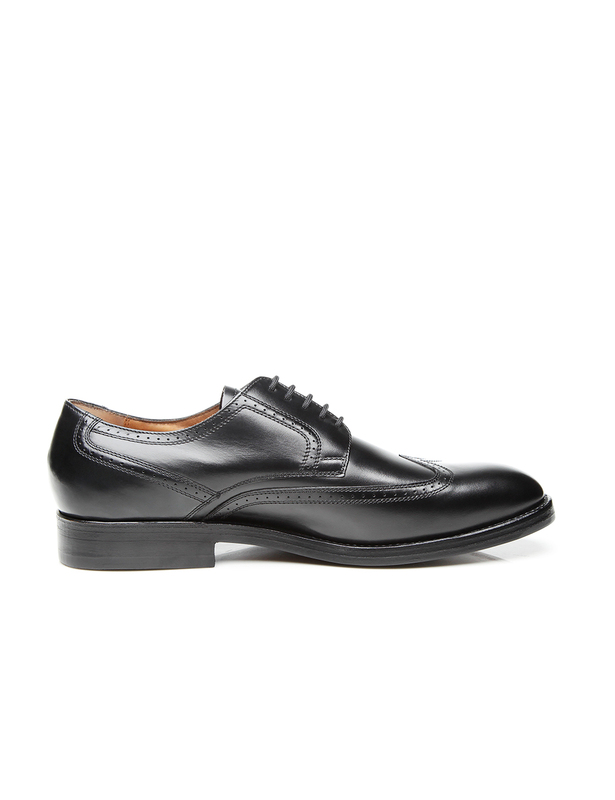 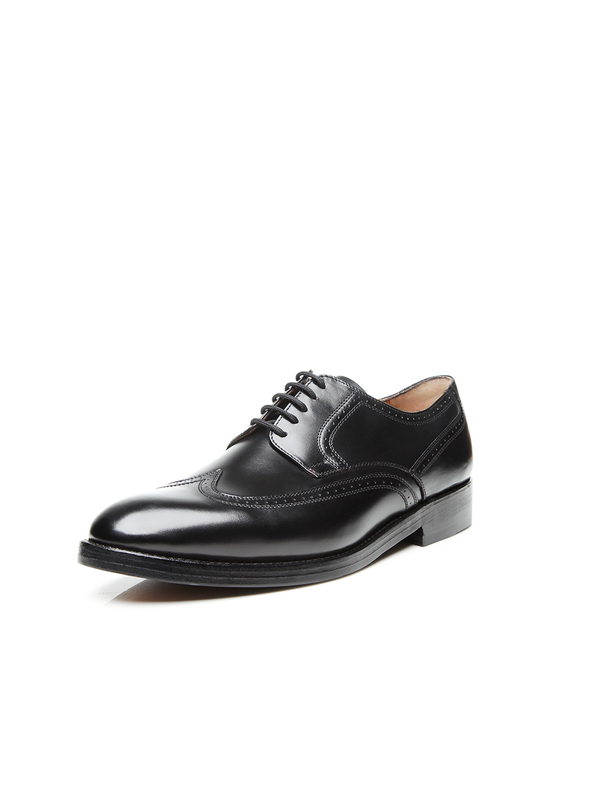 This sewn-welted, handcrafted black full-brogue Derby with open five-eyelet lacing represents the ideal men’s model for making a stylish, elegant appearance. 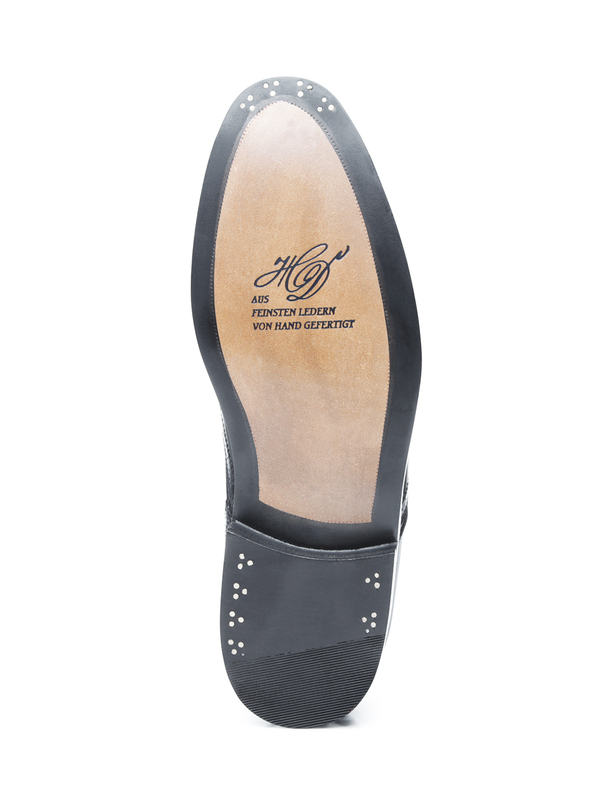 Although the curved wing cap and counter as well as the edges of the shaft pieces feature the Lyra perforation for which the legendary shoe is named, this model also features additional decoration on the toe cap. 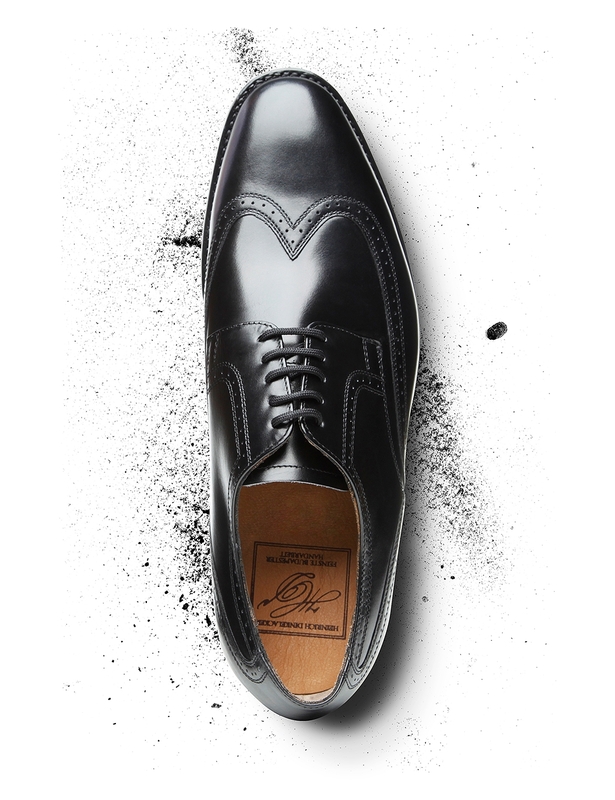 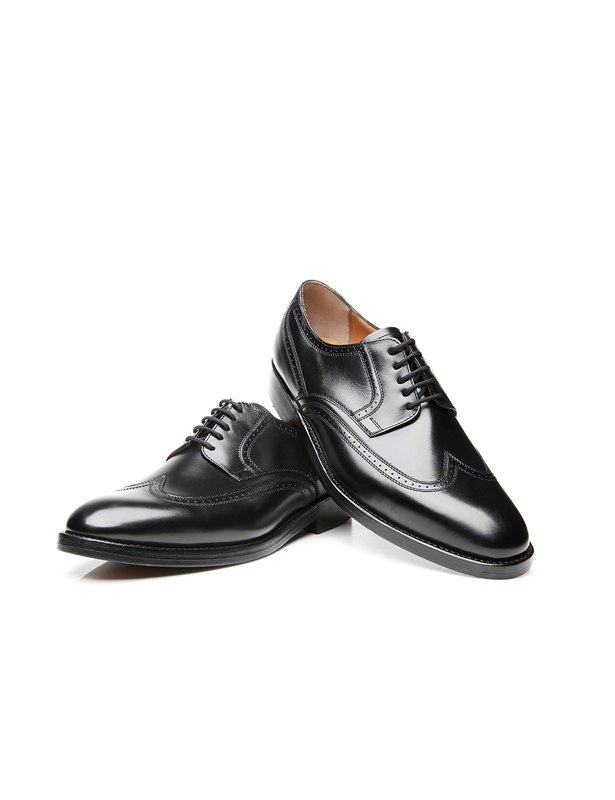 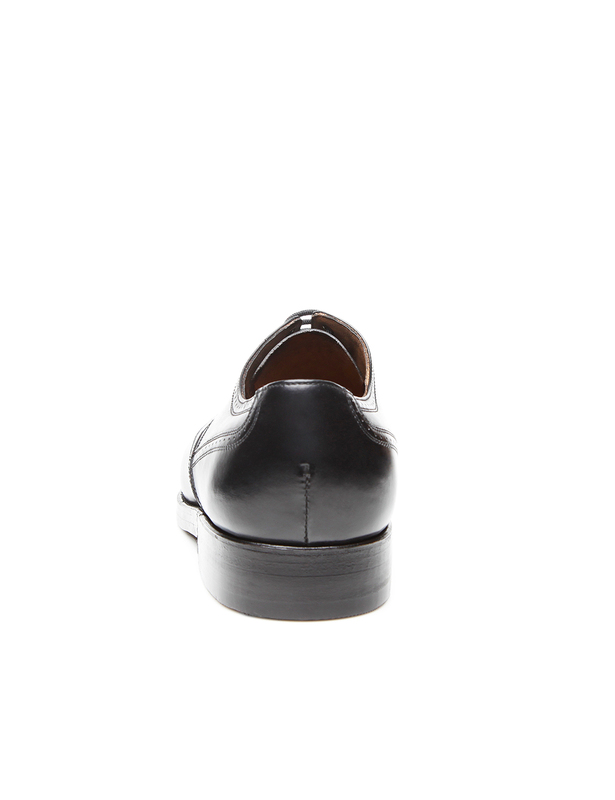 Supple box calf, a gleaming type of aniline-dyed calfskin, guarantees a very fine surface structure and is the perfect choice for elegant men’s shoes. 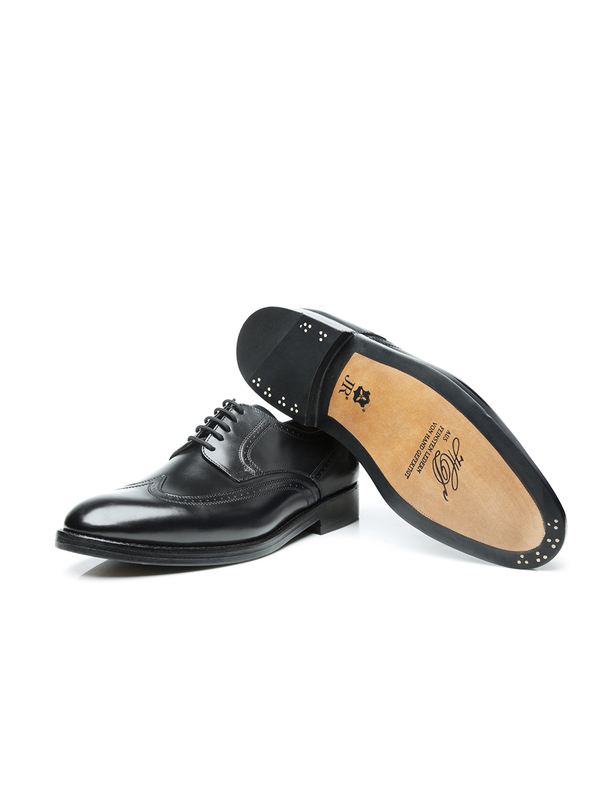 The gently tapering Luzern last and double leather outsole with meticulously arranged brass nails harmoniously top off this shoe’s classic appearance.